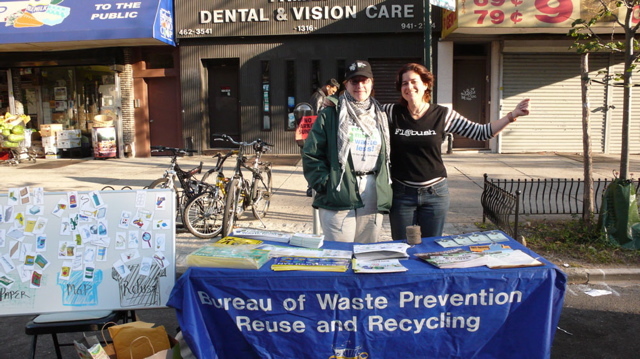 Thanks to Eve Martinez from NYC Department of Sanitation for bringing all the great recycling materials, and to Transportation Alternatives for the magazines and 2007 bike maps — we gave ’em all away! My new favorite t-shirt, as well. Where do we get us some of them shirts, pardner??! 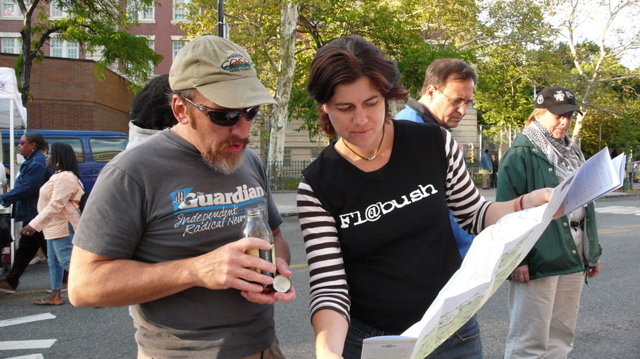 the shirts are made by a group of young designer/entrepeneurs from the neighborhood who call themselves 37Deep (from e37 and Ditmas, natch!). they had a table at the Frolic.